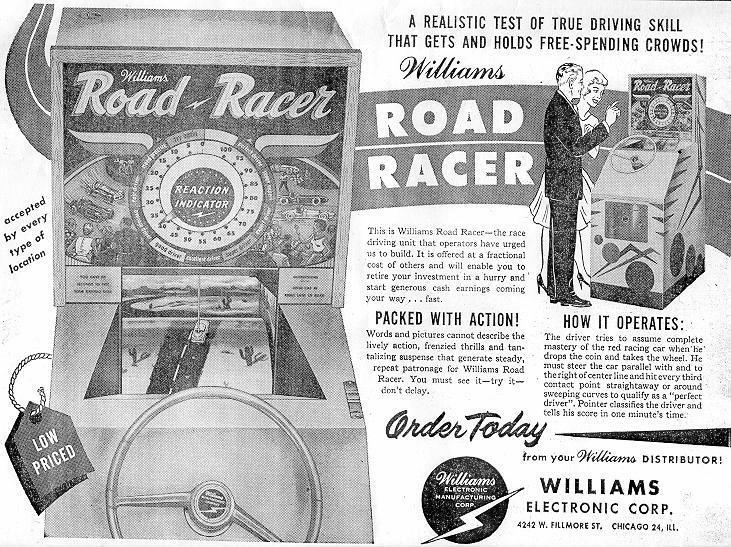 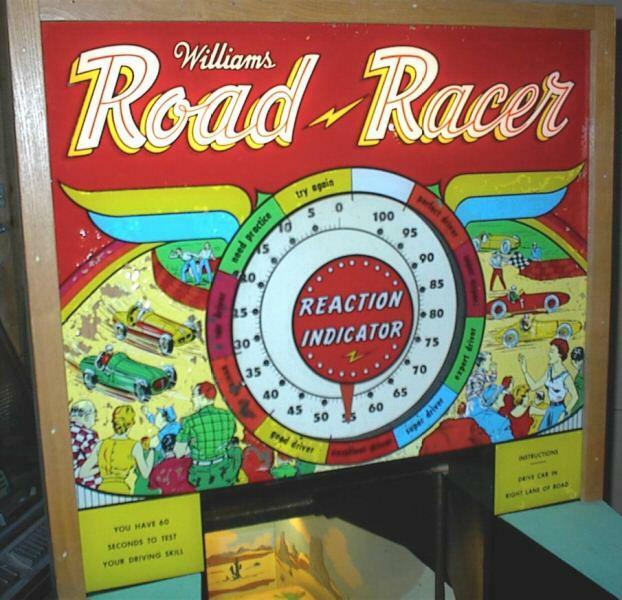 Description: Road Racer, Williams #264, 3/62, driving game. 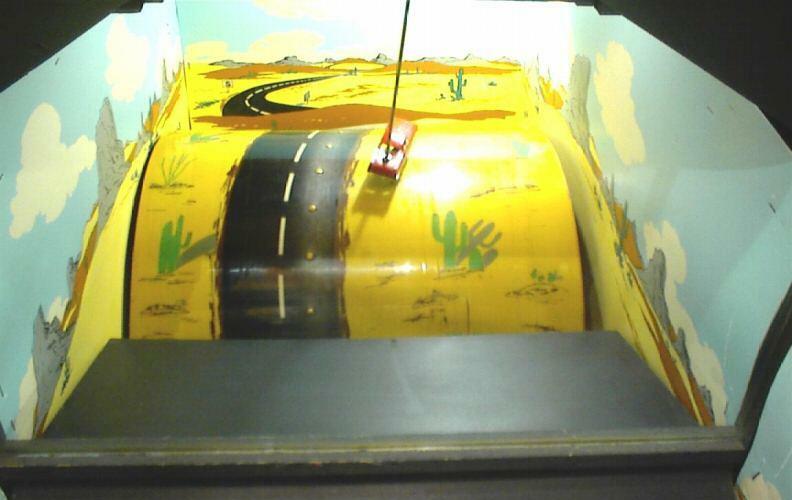 There is a barrel that rotates within the machine with a road on it. 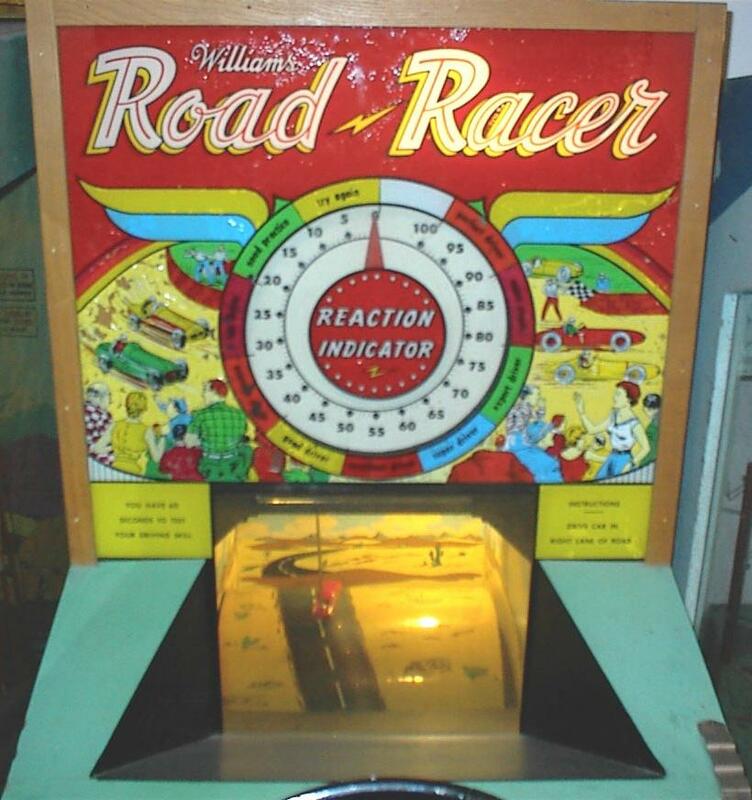 The center of the road has metal contacts points every inch or so. 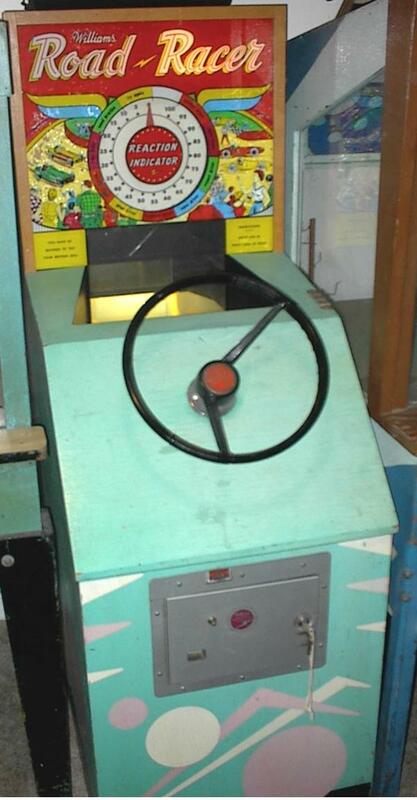 The object is to keep the car on the road (and the car has a metal contact on the bottom of it) by steering the full-size steering wheel on the machine. 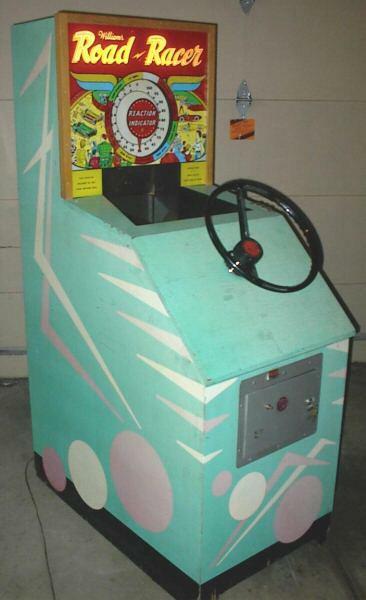 It has a LOUD bell that rings when you score points by completing the circuit with the two contact points.